Students have individualized learning paths and are motivated by their own success. 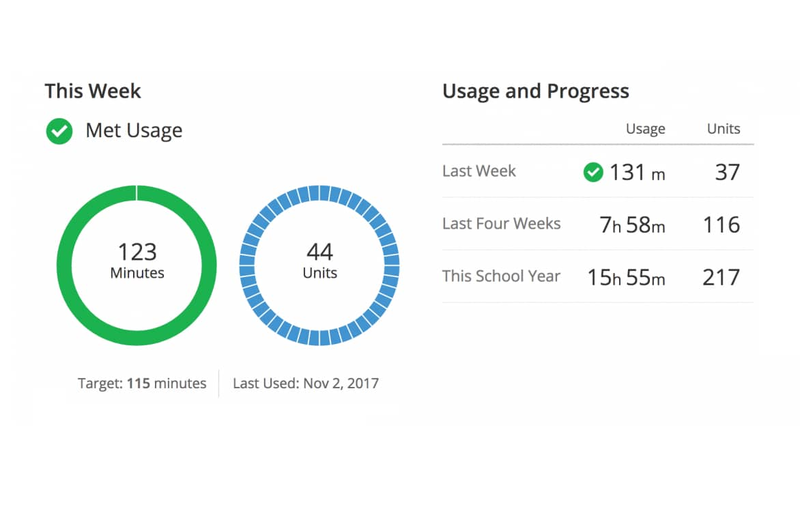 Teachers can see real-time student performance data that is easy to access and simple to interpret. Teachers have the resources they need to provide direct instruction and intervention. 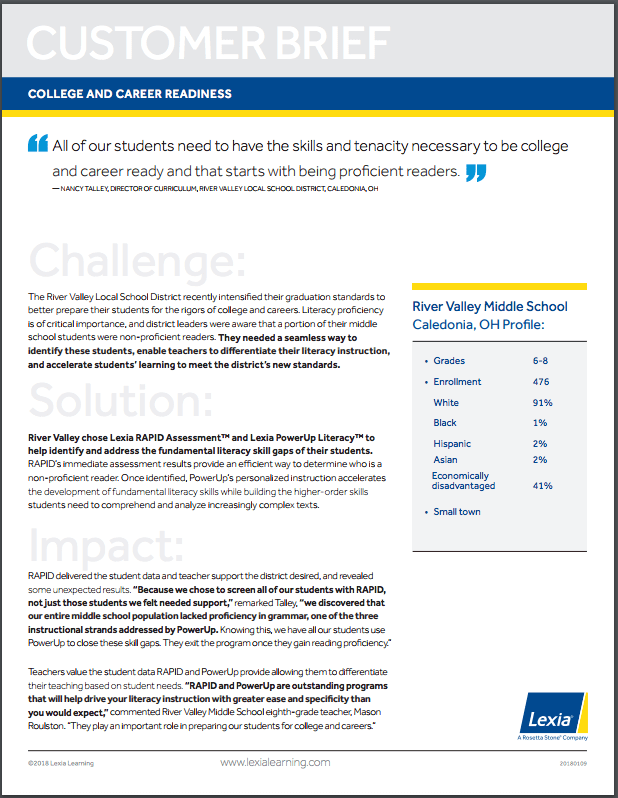 "Because we chose to screen all of our students with RAPID, not just those students we felt needed support, we discovered that our entire middle school population lacked proficiency in grammar, one of the three instructional strands addressed by PowerUp. Knowing this, we have all our students use PowerUp to close these skill gaps." 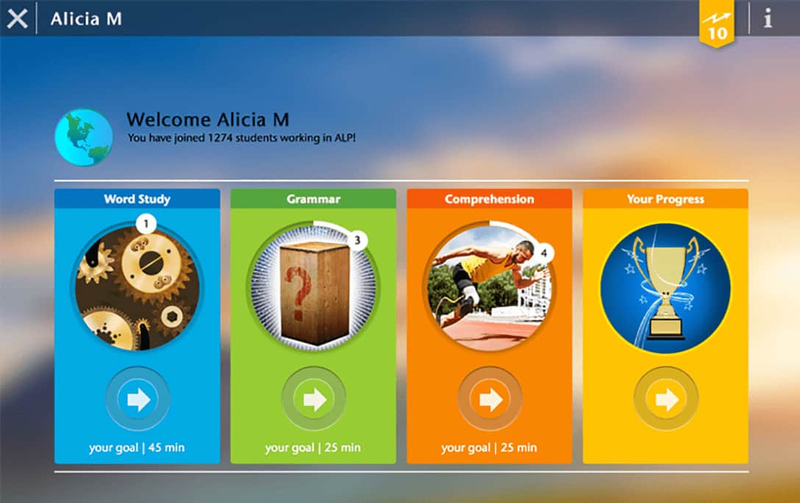 Preview various student activities within the three instructional strands of Word Recognition, Grammar, and Comprehension in Lexia PowerUp Literacy. 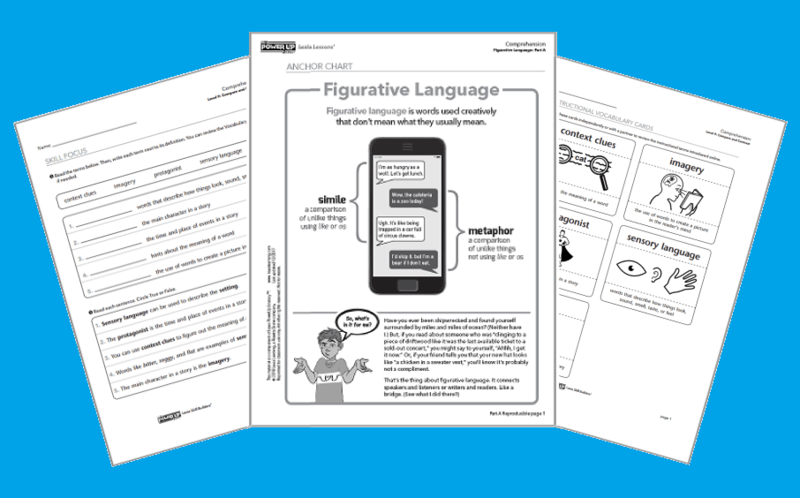 This white paper by Lexia's assessment experts provides academic language instructional strategies that you can use in both the elementary and secondary classrooms.